The first great-grandchild touches so many lives. 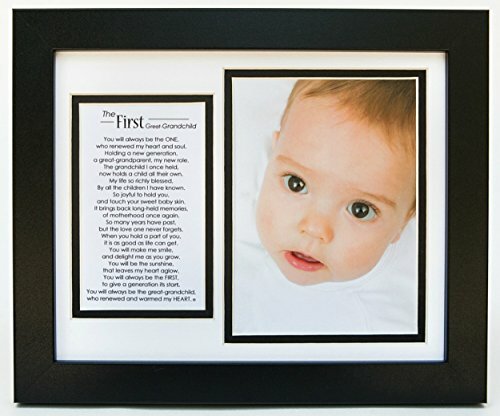 Great-grandparents can celebrate and welcome their new great-grandchild home with this beautifully framed 8x10 keepsake photo and poem frame. The frame features a 5x7 space for the first great-grandchild's photo in a double black and white mat. For wall or tabletop display. Proudly made in the USA. If you have any questions about this product by The Grandparent Gift Co., contact us by completing and submitting the form below. If you are looking for a specif part number, please include it with your message.